When his first son was born 15 years ago, Jake Knapp came to a sad realization. He was stuck at work, wasting time, and missing precious moments of his new child’s life. On fire, he embarked on a quest to become as productive as possible. He experimented with different kinds of to-do lists. He taught classes on managing email. He even invented the design sprint at Google, helping teams discover how to be purposeful and effective. I hosted Jake on the podcast, where he shared his strategies for making time for your most important work by avoiding bad “defaults” and “infinity pools” in our work and personal environment. If you enjoy the conversation, check out more episodes of our podcast. You can subscribe on iTunes, stream on Spotify or grab the RSS feed in your player of choice. What follows is a lightly edited transcript of the conversation. Design sprints are powerful because they make teams focus on one thing every day. Apply the same principle to your workday to create time for your most important work and reduce stress. Rethink your “defaults.” Defaults don’t just exist in our tech products, they also exist in our work and social culture and they sometimes stand in the way of you doing purposeful, effective work. Teams should reconsider how they manage emails and meetings. Stop treating every email with the same level of importance. Otherwise, you’re just dealing with other people’s micro-priorities all day long. Crappy collaboration is cheap. Truly effective collaboration is expensive – it takes thought, planning, attention, and focus. Social media, apps, email, and even your browser tabs are infinity pools: little dopamine hits that call out to you constantly. Create speed bumps to distraction and give yourself finite windows of time for interaction with these tools. Stewart Scott-Curran: Jake, welcome to Inside Intercom. You’ve recently written a great book called Make Time, which I’m excited to talk with you about today. But first, can you give us a quick recap of your career so far and how it led to you writing this book? Jake Knapp: Thank you so much for having me here. I always struggle to make recaps of my career quick, partly because I’m old. I’ve been working for a long time, so there are a lot of different things that have happened, but they’ve all led to the way I see things now. As a kid, I was really into computers and building games. My first job was working on the website for Oakley, the sunglasses company. Then I got a job at Microsoft, working on Encarta as a product designer, and if the listeners don’t know what Microsoft Encarta was, it was an encyclopedia on CD-ROM. I worked on that for a few years before transitioning to working on a new hardware device that got killed. In frustration, I left Microsoft and got a job at Google, which was really exciting for me. I worked there for 10 years (five at Google, five at Google Ventures). My first five years were spent on Gmail. We started a 20% project that became what’s now Google Meet and Google Hangout, video conferencing software. I got to see that from the very beginning to launch, which was really cool. And I created the design sprint process while at Google and then really perfected it at Google Ventures, while working my colleagues there with a lot of different startups. A year ago, I left Google Ventures and have mostly been writing since then – and teaching the design sprint process to teams and individuals. I wrote a book called Sprint in 2016. 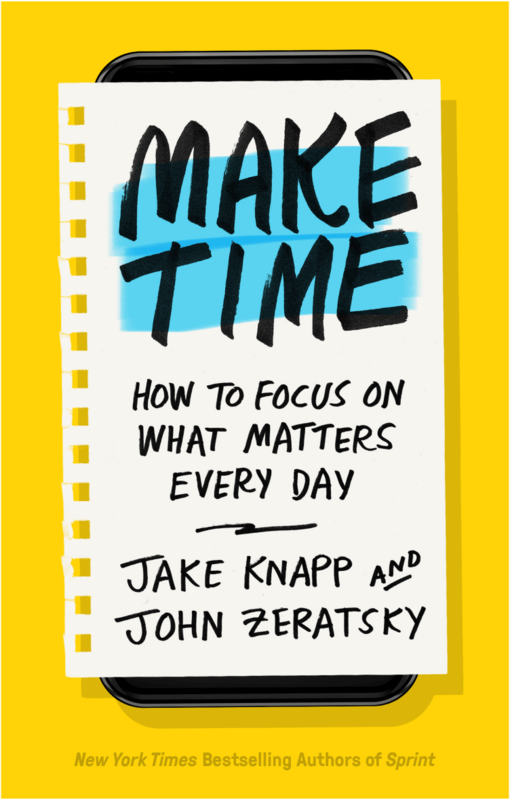 Make Time is my second book that just came out, and it applies a lot of the learnings from being inside tech and building products to the idea of designing time. It goes over how a team can best spend its time when starting a project over the course of a very structured, highly crafted week (i.e. the design sprint) and how an individual can do something like this every day. Stewart: What are some of the big takeaways that you’re hoping readers will get from Make Time? Jake: We have a lot of demands on us today. And if you are listening to this, if you are building products, if you’re in the tech industry at all, there’s a good chance you feel very busy a lot of the time. Every time I see somebody and ask, “How are you?” the answer is usually “Busy”, right? Stewart: That’s exactly what I was thinking on the way to work this morning. It’s almost like an instinctual response now, isn’t it? Personally, I’ve been trying to consciously avoid saying that and saying something a little bit more meaningful, but it’s super hard. Jake: I think it’s actually a failure of the English language. We don’t have a word that means things are full, and purposeful, and exciting. “Busy” means all kinds of things but mostly, it’s about stress. We say it, and we think that’s good to be busy. It means you have work. But it implies a negative thing; we all know that feeling busy is not good. I feel guilty because I’m not perfectly on top of my inbox. My inbox has things in it I wish I had dealt with. And as I’m looking at what my friends are doing – whether it’s on Twitter or Instagram or whatever – I feel like I don’t measure up well to what they’re doing. And when I read the news, I’m stressed about that. There are all these things bombarding me constantly, and I can never catch up to all of the meetings and all of the to-dos I have. I know this is a common feeling, so what I hope people will take away from reading Make Time is a way to feel a little bit less stressed, less guilty. I want them to have tools and a framework for thinking about how they spend their day and make a little bit of space for what matters most to them. Because – despite painting that very stressful picture of the world – also think most of us are very close to making some small shifts that change the game, where you feel like you do have time for the things that really matter to you and you’re able to pay attention to them even if it’s just for an hour and a half a day. That can make a dramatic difference. Stewart: The ideas in the book draw heavily from the design sprint process, which you invented while you were at Google. Can you break down the process for us? Jake: Every day of the week in the design sprint, there’s one focal point. So, on Monday, the team makes a map. On Tuesday, the team sketches solutions for the big challenge. On Wednesday, they make a decision about which of those are the strongest. On Thursday, they build a prototype. On Friday, they test. It’s: map, sketch, decide, prototype, test. At the end of each day, you can feel satisfied because you accomplished the single focal point for the whole day. Another realization was that when you get everybody in the room together and force them to shut their laptops and put their phones away, it is amazing how much easier it is to focus and how much better work we get done. You have to put in a big speed bump to those distractions, so we started to require times every day when we had that stuff shut off. I deleted all my apps – every kind of email and web browser, Facebook, Instagram, Twitter, YouTube, news apps, everything – off the phone so it was just not noisy to me. I set up a vacation timer on the internet at my house, just things that would shut those things off. What we noticed is that you have to monitor people’s physical energy to make their focus really at its highest. Stewart: Has your thinking on design sprints evolved since you first were developing this concept? Or is that still really the best way right now for teams to be thinking about how they build products? Jake: As a tool for building products, it has surpassed my original expectations. In the beginning at Google, I saw a lot of really interesting projects and cool ideas and great technologies that struggled to get to a finished product. By the time I did the first design sprint, I had been involved with the beginnings of a lot of these processes. When you start something big, you need to develop commitment from the team who’s working on it and the people who are, for lack of a better word, stakeholders – people who can cause problems for you on the way to trying to launch a product. It doesn’t mean everyone agrees or that we have consensus, but everybody has to be committed to what we’re doing. We need some sense of momentum, because building a product is hard. I thought if I could create commitment and momentum in the beginning, and if I could change the way Google started building products, that would be amazing. Initially I was mostly thinking of consumer-facing software products. But even in the early days, I would think about things like Google Ads. Over the last few years, it has turned out to be effective for all different kinds of things. Obviously at Google, I worked on a lot of different kinds of projects that weren’t just apps for consumers. And then at Google Ventures, we had to try it in all these different environments – from coffee companies to healthcare companies to products for farmers – and tweak the process so that it would work no matter what the target was. I’ve just made this case for the design sprint being very versatile and working in a lot of environments, but it is designed for the beginning of the process, which is a very specific moment. You’re about to start something that’s going to cost you a lot of time or money, and you need momentum and commitment. Fundamentally, that’s what the design sprint is for. It’s not a cure-all magic potion that works in every environment, in every situation. You shouldn’t do design sprints every week, but it really is a great way to start. And I haven’t seen a better way to start a big challenge. Stewart: At its core, the design sprint process is really about optimizing that workweek for teams. Why do you think time management is such a challenge for teams in the workplace? Jake: When I teach people about the design sprint, I start right away with this idea of defaults: there’s a default way that we do things, and sometimes those defaults are pretty dumb. 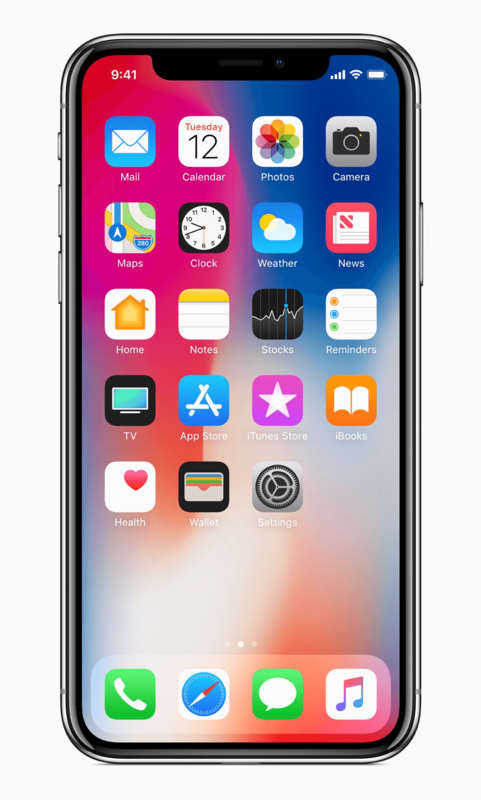 If you get the phone for the first time, it’s got default wallpaper, a default ringtone, and a default set of apps on the home screen. And some of those defaults make sense. The ringtone’s usually pretty good, but it might not be the best – might not be the one you’d choose. And the wallpaper might be okay, but it might not really fit you. The apps on the home screen probably reflect more about what the manufacturer really wants to push at you. These defaults are very easy to see in tech products, but they exist elsewhere. They exist in our work culture. They exist in our larger social culture. And a lot of them don’t make sense when you examine them. A lot of them are kind of crazy. At work there’s a default that says if somebody sends me an email, I should reply-all, and I should answer as quickly as I can. It doesn’t actually matter if it’s an email or a Slack message; I should try to get on top of that as fast as I can. That’s the default for most work cultures. If somebody puts a meeting on my calendar, I should go to it. And meetings should be 30 to 60 minutes, because when you click on the calendar, that’s the default. It snaps to 30 or 60 minutes. It doesn’t matter if it’s a small conversation or if we’re trying to kick off this giant project and that will take a week. And it’s very easy to set up recurring meetings and we think we should have recurring meetings. Another default is that I should fill up my 40-hour week and be as efficient as possible. I should play Tetris with my calendar and pack it as full as I can. Then I’m full, I’m busy, and I’m productive. Those are the defaults, and they’re crazy. They actually get in the way of us doing what’s the most important. Looking through the lens of the design sprint, I think that those ideas of defaults affect our ability to do the things we care about as individuals, and they also stand in the way of doing really purposeful, effective work as teams. Stewart: You have a great graphic in the book that shows a calendar packed full from day to night, five days a week. My calendar sort of looks like that. And it’s interesting, because sometimes you go to a 30-minute meeting and wrap up the conversation 10 or 15 minutes but find yourself trying to fill the remaining time. What’s the solution? Jake: I’ll be candid. I don’t think people are going to read Make Time and magically have an empty calendar. I wish that that were the case. I hope that the folks who have the authority to experiment with their team’s calendars will read it and think, “This is crazy.” The promise of Make Time is that if your calendar looks like that, you can apply some of the tactics in the book to create some space for yourself and put the most important things first each day. I don’t mean your to-do list – to-dos are too small. You need to think of 60 to 90 minutes where you can really focus and get into what we call “laser mode”, or what Cal Newport calls “deep work” when you’re intently focused on one thing. But if you can get into laser mode for 60 to 90 minutes every day, it will change the way you feel about that calendar. We have this illustration of the workweek, and at the end of the week I drew a little face asking, “What happened?” because often it can feel like you’re just bouncing around and it’s a blur. But when you make these small shifts to create a little bit of space around the thing that really matters to you, it changes the way your schedule feels. I’m not going to say you can wave a magic wand and make it go away, but you can dramatically change what you’re doing so that the things that matter most come first. I do think there are experiments teams can run on their calendars to change the game in a big, big way. An individual can do this today and see a change, but teams can be so much more effective. This is not a book for teams, but there are ways to do it better. Stewart: How do the ideas in your book scale at a team or company level? What are some of the tactics we can pull across larger groups of people? Jake: Start small. There are some things you can do explicitly to change some of these defaults in your work culture. The default of answering email as fast as possible is something you can change with an explicit, top-down conversation about email. Giving people the license to not answer email for days (or even weeks) sounds crazy, but the things that are really important will come and find you or seek you out, or they’ll email you again. There will be some additional signal. We just can’t treat every email like it’s the same level of importance. Otherwise, we’re just dealing with other people’s micro-priorities all day long. At a larger organizational level, you can say: “Our email use is nuts. It’s now okay to not respond right away.” You can also say, at a team level: “We’re blocking off the mornings. We’re going to not have meetings before 10 a.m. The time before that is yours to exercise, to take your kid to school, and to have the space to have a good hour, hour and a half once you get into the office to do the thing that’s most important to you.” If I’m the boss, maybe I say that I’m going to call people out for sending an email between those hours. Your email should not be the thing that’s most important. It should not be the thing that comes first. Skip the morning check-in. This is one of our tactics in the book. First, we want you to do the thing that’s most important for your job. Stewart: Email is obviously such a default mode of communication these days, and you can pretty quickly find your inbox piling up and feeling guilty about that, as you mentioned earlier. At what point do we decide that it’s moved from a very effective method of communication and tipped over into something that’s broken? Jake: If you think it might be, I guarantee, it’s broken. There’s no situation where email is not insane. I say this as a person who has been using email since it was green text on a black screen and nobody else I knew, except for one guy, had an email address. And I worked on the Gmail team for years. I love email. As you said, it’s an amazing tool. It’s magical, almost. I can send a message that moves at the speed of light around the world. All kinds of wonderful things happen because of email. Email is amazing and powerful, but it is absolutely broken. There’s no situation where our relationship with email is a healthy one. Because it’s such a powerful tool and so fundamental, we almost don’t even think about it anymore. We rant and rave so much about social media, but email’s been there all along. It takes up so much of our attention and, and every inbox is a to-do list with no prioritization, no clarity about what the tasks are. New things are constantly coming in and shifting. I’m not going to tell you I have a solution for fixing it. The main thing you can do to fix it is to pay less attention to it. Let it pile up. When it piles up, the things that are most important become more obvious, because they’ll bother you more. When you start with your own priority and you push off the to do list, better things will happen, as an individual and as the team. So, my precept is email is always busted, always better off if you push it off and good things will happen. Stewart: We obviously talk a lot about placing value on team collaboration and communication. Those become words that trip off the tongue very easily. They sound easy and they sound obvious, but they’re harder to do and practice sometimes. Does the Make Time process impact collaboration or the creative process at all? Are there any best practices there? Crappy collaboration is cheap. Truly effective collaboration is expensive. Jake: Well, crappy collaboration is cheap. Truly effective collaboration is expensive. By expensive, I mean it takes thought, it takes planning, it takes a lot of time, and it takes a lot of attention and focus. That kind of collaboration is not what most of us experience in our work most of the time. Most of what we experience is open office plans, hearing everybody talking, and trying to just get some quiet so you can get something done. Or maybe we’re dealing with the constant interruptions that come from messaging software or from email. Some of these things have to happen for a variety of reasons. But they don’t have to happen all the time. Meaningful collaboration takes something special to actually get people to work together in a meaningful and effective way back and forth. In Make Time, we’re really trying to create space without reinventing the way people do all of their work. We trust that you have an idea of what’s important for you to do at work and at home, in your life. But these ideas are still really important. As an individual, you can create quiet. This is something we have t to do in the design sprints, even when we’ve got seven people in the room and everybody’s there all week together. Again and again in the design sprints, we intentionally make everybody shut up and quietly think of their own solution. Whether it’s something we call a “note and vote” (where everybody’s writing down the answer), or whether it’s sketching, we’re brainstorming as a group. We’re quietly working. Quiet work is so hard to get, and in the design sprint we found we had to work so hard to protect it and create it. We figured out that the maximum time people could focus is an hour to an hour and a half, generally speaking. But we found that if you could set up a circumstance where on Tuesday, they were focused for an hour and a half on solving the problem, it’s amazing how good those solutions were. Stewart: You mentioned constant interruption and you talk about this idea in the book of infinity pools. What are some examples? Jake: There’s a moment in The Lord of the Rings when Bilbo Baggins finds himself wearing the ring without even thinking about it. He just wants to put it on. It calls to him from his pocket. That’s the way my phone makes me feel. There are some things on my phone that just call to me. They’re infinity pools: things that have an infinite amount of content, and there’s always a chance that there’s something new on there that will make me feel good or more up to date, or it will give me a little dopamine hit. There are a lot of conversations in the press right now about these dopamine hits and how they are engineered. But there’s a broad spectrum of things that fall into this category. Obviously, social media is a big one: Twitter, Facebook, Instagram. They’re really good at this. Also, there’s always something new and interesting on YouTube and Netflix. And the news is actually a really powerful infinity pool. You can never possibly be up to date on the news in our modern world. Stories are updated incrementally, and they get that little red tag so you know they’re updated. Email is an infinity pool. There always could be something new there. And your web browser is sort of the infinite infinity pool, because you can never be on top of the internet. I’m very optimistic about technology, and I love my phone. For six years I’ve had these things delete off my phone (most of the time). But I still got an iPhone X the day it came out because I’m obsessed with the power and the wonder of these devices. If you cut off all the infinity pools, there’s still really cool stuff on there. There are maps, podcasts, and limitless music – which are not things that are going to distract me and pull at me. I’m not going to sit on my phone browsing around Google Maps and looking at different cities. That’s not going to pull me away from something that’s more meaningful. I don’t have to have everything on the phone. If I have half of the smartphone, it’s still really powerful. Stewart: As product teams or designers, do we have a responsibility to prevent our products from being infinity pools? How do we learn how to build better defaults while still growing our products or business? Jake: This is such a good question. I have thoughts about this, but to be honest, it’s not a big focal point of Make Time, so I’ll tell you my kind of half-formed thoughts. Make Time is directed at the individual. And a lot of the tech backlash that’s going on right now is directed at the companies and rightfully so. It’s an important message. Companies need to be held accountable. They need to feel like there’s some fire on them to be respectful of our attention and our privacy instead of taking advantage of these glitches in our brains that lead us to always want to be up to date on things. If you’re building products, no matter how much you care about people, there are going to be business pressures that conflict with you. Everybody beats up on Facebook, and I do too. I’m not a huge fan of Facebook, but they have conflicting influences on them: they make money the more time you spend on their website. We can all see that. If you look at Google, you see what they’re doing with Android and think maybe Google is the good guy. But when you think about YouTube (which is owned by Google), you realize that YouTube makes money the more time you spend on there. The more you’re using it, the more valuable it is to Google. So you look at their digital wellbeing plan, and it’s complicated for them too. Let’s take Apple: surely it’s cut and dried for them, right? They’re just selling the devices. But what about games on the App Store? Apple makes a ton of money off of games. So, everybody is conflicted. If you’re building products, my advice is that if you build something that is truly meaningful, there will be a path to success because this topic will grow. We started writing this book two years ago, and it’s been shocking now to see how much more people are talking about this topic now than they were while we were writing it. It almost feels like we’re late to the party. This topic will grow and grow. People are going to care more and be more aware, and there’s going to be more pressure. More people are going to come up with good solutions. So, I think it’s actually going to be in your business interest to figure out how to build something that has meaning beyond just taking advantage of those human glitches. People are going to get savvy to that. They’re going to shut that stuff down and you’re going to have to find a better way to build your product. You have to look at it as not just the right thing to do – not just something you’re guilted into, or the government’s forcing you to do. I think most people building products in tech are optimistic about technology. They think if we can bring the future to life, that would be good for people. I don’t think there’s some evil empire of folks who are really deviously manipulating us. The reality is people want to do the right thing. And I think the right thing for the business is going to be making things that are respectful of our attention, things that give us space and time, and things that really are useful tools. Stewart: Jake, thank you so much for joining us today. Where and when can listeners get their hands on the book? Jake: The book just came out on September 25th. If you go to maketimebook.com, there are some links you can use to purchase the book depending on what country you’re in. And if you didn’t get enough of listening to my voice, you can listen to the whole book being read by John Zeratsky and me. Introducing Product Tours – craft tailor-made onboarding experiences for your users, with contextual, personalized tours to help you take your onboarding and retention to the next level. Sales operations is one of the hardest, yet most crucial, functions for sales organizations to get right. Intercom’s Jeffrey Serlin joined the Predictable Revenue podcast to reflect on what he’s learned scaling sales ops globally. Shipping a good product is a constant balancing act between different constraints and the limitations of the real world. Designers need to know what they’re shipping to get the balance right.